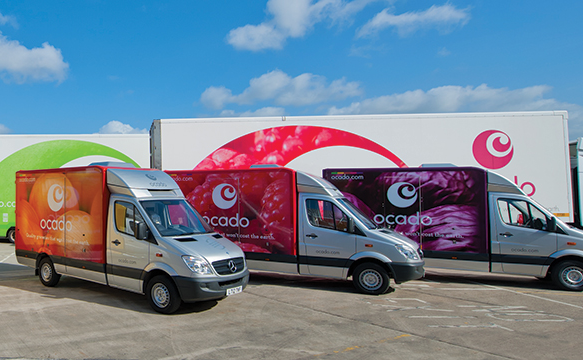 British online supermarket Ocado, which differentiates itself from its rivals by having no physical stores and instead serving customers exclusively online, is launching its third annual competition to find ‘Britain’s Next Top Supplier’. Described by the company as “a nationwide search to find the next big thing in food and drink”, the competition is looking to find new or small retail-ready suppliers not currently stocked by any major supermarket. Entries must be submitted by March 17th. From there, shortlisted entrants will be invited to deliver a ‘Dragon’s Den’ style pitch in front of an expert panel of judges. This panel will then decide upon the eventual winner. A good quality product or range with lots of flavour. A product or range with the potential for wide appeal. A passionate, commercially aware supplier who will work with Ocado to make their product succeed. A product or range that will bring something special to Ocado. Unusual, hard-to-find or downright quirky products will catch the judges’ eye. Retail ready packaging: accreditation (for example SALSA or BRC) is needed to ensure the product has passed safety checks to be delivered to customers. The competition winner will be rewarded with a listing for their winning product/range of products at Ocado for six months, with an option to extend, along with a£20,000 marketing support package. Those wishing to apply for the completion should fill out an online application.